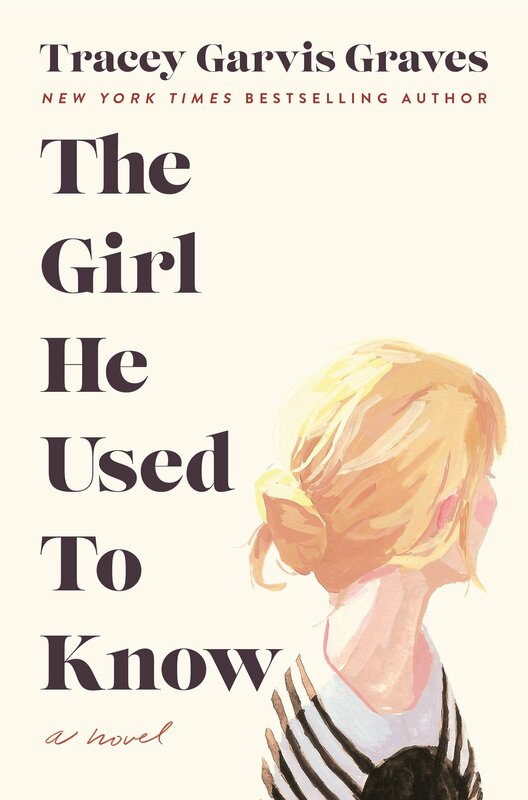 A woman hopes to rekindle a love from the past after a chance encounter in Tracey Garvis Graves’ THE GIRL HE USED TO KNOW. Annika Rose had never quite understood the world—the nuances of people, the expectations she never seemed to meet. Her world dealt with absolutes, the comfort and quiet of a life she could control… predict. After being home schooled, college life proved to be a struggle too. Luckily, she found a lifelong friend in roommate Janice, who guided her through the many uncertain situations inherent to life away from home. Then Jonathan Hoffman sits across a chess board from her one day, and from then on, he gradually finds his way into her heart, understanding her in a way few had taken the time to do. Annika never imagined loving someone the way she loved Jonathan. He brought a comfort, a sense of home, that she couldn’t imagine being without. Through their years of college, their love for each other only intensified. Jonathan loved Annika’s sense of self, how fiercely she loved him, how he could be fully himself around her too. After college, they would begin building a life, together. But just before graduation, fate took them down a path on which Annika was unable to cope. And before they knew it, their relationship was a thing of the past. Ten years later, in a grocery store, Annika bumps into Jonathan and she finally has the chance to right past transgressions. But Jonathan is newly divorced and hesitant to rekindle anything after what happened. Through chapters of then and now, we get to know both Annika and Jonathan, understanding the dynamics of their relationship and unraveling what torn them apart. And just when we learn what broke them then, something happens in the now that threatens to shatter what had only just begun to mend. Graves weaves a tender story about a girl who sees the world through a different lens. A story which will resonate with so many of us. It’s one of friendship, of love, of acceptance and resilience. Tender and affecting with a fresh premise, this is a special second-chance romance that will undoubtedly linger. Graves, with a skilled and authentic hand, weaves a tender story about a girl who sees the world through a different lens. A story which will resonate with so many of us. It’s one of friendship, of love, of acceptance and resilience. I loved the characters, especially Janice, who is a life line for Annika, and who along with others, are instrumental in Annika rising up to the situation she confronts at the end. Tender and affecting with a fresh premise, this is a special second-chance romance that will undoubtedly linger long after the final page.